Everyone is so excited about this Spice Girls reunion, but have you seen Adele? The singer may be a purveyor of sad bangers, but she is in fact a huge fan of the girl group – during her 2016 Carpool Karaoke segment, she enthusiastically performed Wannabe and told James Corden that it was a “huge moment in my life when they came out”. It was Girl Power… five ordinary girls who did so well, and who got out. It was a really important period in my life. And in case you needed proof… here’s an amazing throwback pic. The posters, the lollipop, the pure unbridled excitement. Yes, that’s exactly how we’re feeling right now. 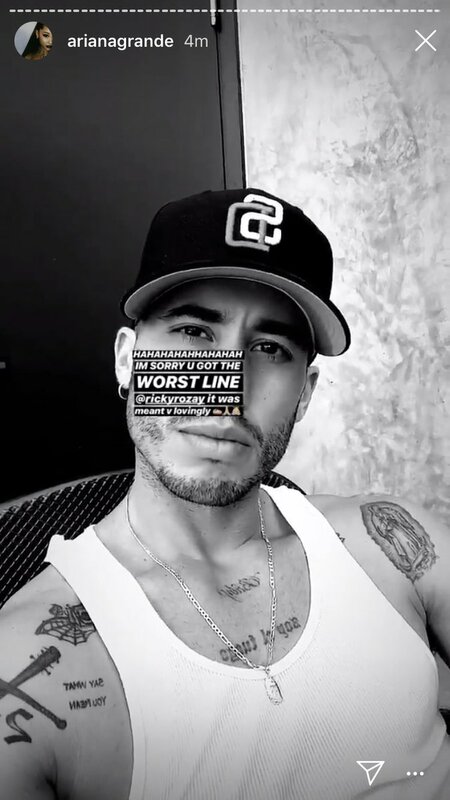 Ariana Grande’s ex-boyfriend has reacted very well to getting “the worst line” in her new song. “Nothing but gratitude. Thank u, next. Those songs were fire though, you’re welcome,” he wrote, referring to True Love and Moonlight, the two songs written about him. Nice to see people being NICE to each other for once. So every year one of the Victoria’s Secret Angels is selected to wear an especially fancy bra at the annual fashion show. Elsa Hosk says getting to wear the bra down the runway is a “dream come true” so good for her I guess. And now it’s time for… #WhereAreTheyNow? Cast your mind back to 2004, when F**k It (I Don’t Want You Back) by a man called Eamon was EVERYWHERE. Everywhere! And it had so many swears in it and your parents hated it. Have you ever thought about Eamon since? Cos he’s still out there, and being retweeted by Kanye West for some reason.